Moto X (2nd Gen) is one of the best aspiring smartphones with great features. 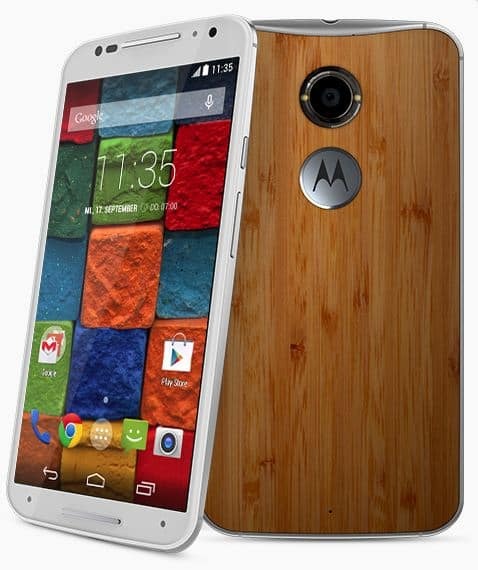 There are top 5 reasons to buy Moto X (2nd Gen), over other smartphones in the market. If you are already premium customer of Moto X (2nd Gen) or willing to buy Moto X (2nd Gen), then this post is very necessary that take you to the process of Setting up your Moto x 2014 and the top 10 things you need to do after buying your Moto X (2014). This is the obvious thing you have to do, soon you have to do with your Moto X and we say whole android thing is about Google account. Google account enables the universality of accessing the all features of Google at any point of time from any part of the world. 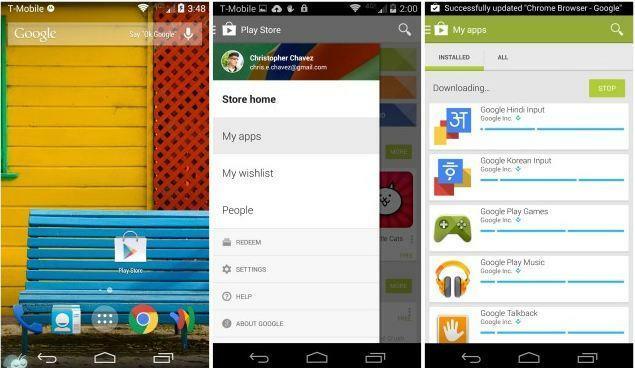 So Login with your google account. If you dont have Google account still, then Signup here. 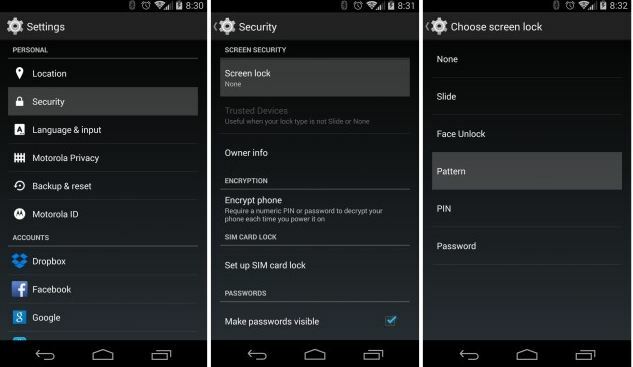 Now the third step is “Security to your Moto X (2nd Gen). There are different methods used to secure your device and the level of security offered by the device also changes. We can add Security by password (most secure), PIN code (moderately secure), pattern lock, or Face unlock (low security). And other method to protect your Moto X 2nd gen and to track your phone if is lost is done through “Google’s Android Device Manager” from any computer, or downloading the app on to someone else’s phone here. Simply click the “lock” button and you’re good to go. You can even add a full recovery message begging for the safe return of your phone and a number they can call you from straight from your lost phone. Awesome. The best feature in Moto X 2014 is its smartness in locking itself using the feature of “Trusted bluetooth devices). It is hard having to unlock your device every single time you want to use it for a few seconds is a huge inconvenience. This is reason many users don’t secure their phones with a lock screen to begin with. Wouldn’t it be great if your phone knew when it was near you or someplace “safe,” and would only use passwords or patterns when you’re out and about or away from you? With the Moto X, this isn’t future stuff — it’s a reality. 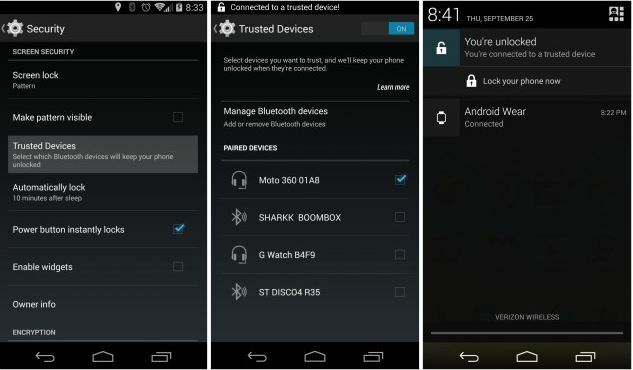 In your Moto X’s security settings, you can actually setup “trusted” Bluetooth devices. This means whenever you are connected to these devices, your phone will remain unlocked. It could be anything from a Bluetooth speaker you have in your home, or that fancy new Android Wear (Moto 360) you have on your wrist. When your phone is no longer connected to the devices you specify, it will remain locked and secure. There are four main apps that you’ll need to set up, with their names and descriptions down below. 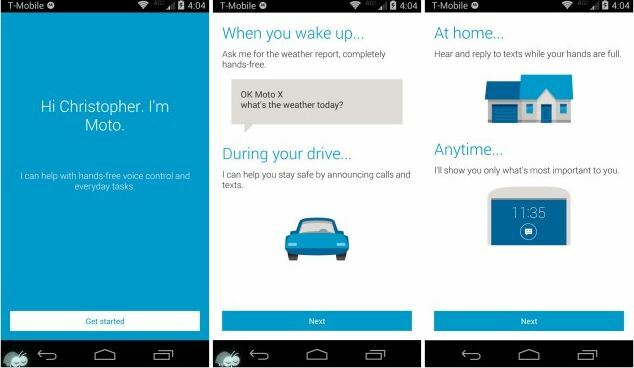 These are new features of Moto X 2014. 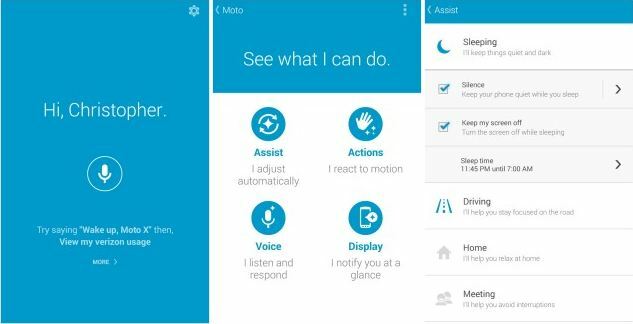 Moto Assist: It’s one of those handy features that sounds like it would have found itself already baked into Android by now. Whether you’re driving, in a meeting or back home, Moto Assist can change your phone’s behavior to do your bidding automatically. Driving? Assist will read your text messages aloud. In a meeting? Assist will mute the ringer so you’re not interrupted. Set up your own quiet hours and you can even white list certain callers (or anyone calling in rapid succession) for emergency situations. Return to the main Settings area and scroll down to the bottom where you’ll find a new option for “Developer options.” It’s not as scary as it sounds, we promise. Once inside, locate the window animation scale, transition animation scale, and animator duration scale, settings and set all of them to 5.x to speed everything up, or animation off if you’re feeling really balsy. Make sure Developer options are turned “On” at the top of the screen, exit and you’re all set. 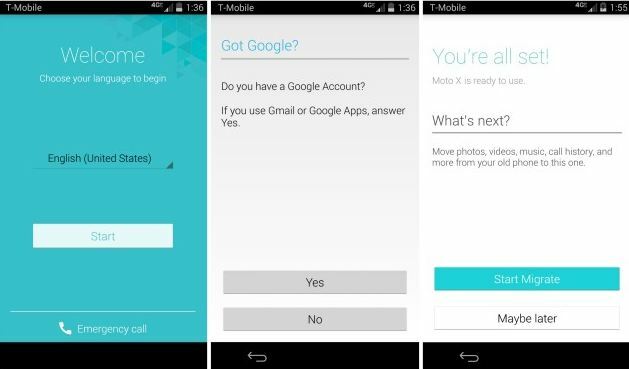 There are few “must-have” applications for Moto X 2014. 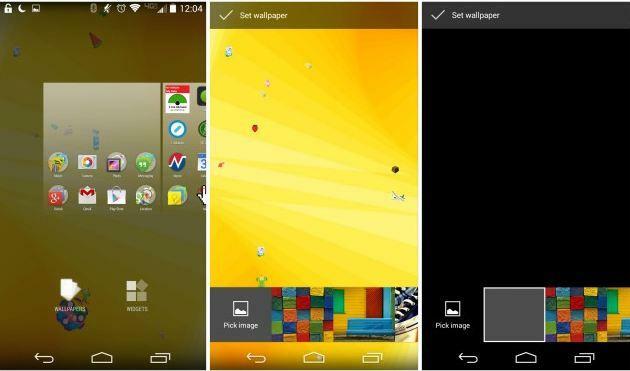 We made a list of mus-have applications for Moto X 2014. These are the important things that every Moto X (2nd Gen) owner should follow to use the maximum capabilities of Motorola’s new flagship and the best phone of 2014. Please share your views and be updated with Igadgetsworld.com. 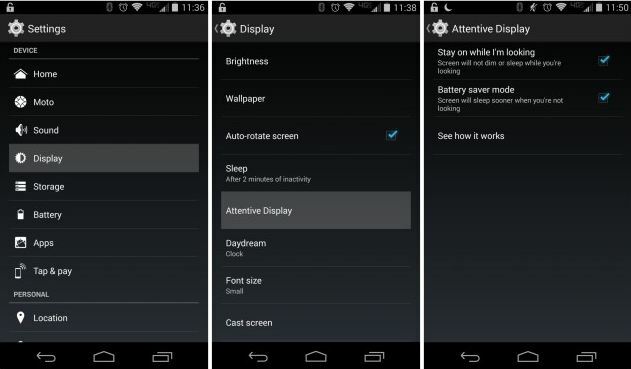 Also read “5 best things of Moto X 2014“, “Moto 360“, “How to root and unlock bootloader of Moto X“.